Spring in Vancouver usually means rain, rain, rain with a side of rain. You never want to tempt fate by leaving the house without an umbrella. No rain? It’s a rarity in Vancouver! A couple weekends ago, I had made arrangements to meet up with friends for brunch. The forecast called for rain. The day before it was like a torrential downpour with rain drops pounding on my roof so loud that it woke me from my sleep. And then I broke my own rule. In my rush, I left the house without an umbrella. I ran off to catch the bus, crossing my fingers that the rain gods would be on my side and that the rain would hold off until I got home. But instead of the rain I was anticipating, it turned into a lovely day. By the time I arrived downtown, the sun was out and shining and I could almost convince myself that it was warm. Brunch at Joe Fortes was lovely. Famous for their raw oysters (no thanks!) and seafood, I opted for the Atlantic Lobster Eggs Benedict. It was delicious – perfectly poached eggs, luscious velvety hollandaise sauce and buttery lobster served over a very filling homemade biscuit. The hash on the side was amazing. No one should be able to make potatoes that good. It was the perfect way to start the day. By the time we were wrapping up our meal, the sun was still shining and I decided it was the perfect time for a walk. 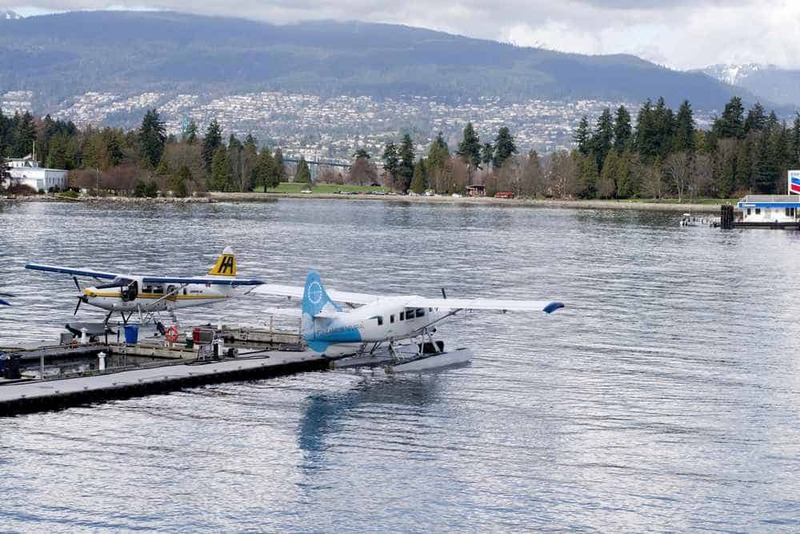 I headed down to the harbour front and watched the seaplanes land and take off. Vancouver is blessed to be surrounded by water and beaches and in the middle of winter it can be easy to forget about the lush beauty that surrounds you. Of course, to wrap up a great meal you gotta have dessert. We headed to Bella Gelateria which is the most famous gelato place in Vancouver. Looking at it from the outside, you would have no idea of the perfection that is within its walls. The owner of Bella Gelateria, learned his craft of gelato by attending Carpigiani’s Gelato University in Italy. Who knew there was a Gelato University? He has won numerous awards from various gelato competitions, including the Florence Italy Gelato Festival. This is good stuff and worth a visit if you’re in Vancouver. Just be aware of long lines in the summer. Check out all those news clippings! Brunch, a walk along the water, gelato and the warmth of the sun. You couldn’t ask for more. A perfect spring day in Vancouver. How did I not know there was a gelato university? How did I waste so much time getting an actual degree when there was a GELATO UNIVERSITY out there? I’m going to be experiencing the Pacific NW spring for myself soon, though a bit farther north – apparently Sitka has a never ending supply of rain. Ohh what a shame it rains so much in Spring – maybe you need to come visit me 🙂 But it’s so worth it to eat those eggs, and it’s still a very pretty place, even if you have to lug about your brolly with you. Oh how I wish I could be in Croatia right now. So much better than rain and gloom. The summers are amazing. It’s a good temperature and significantly less rain. A gelato university???? I think I have to investigate this….and Vancouver looks beautiful in the sunshine :). Yes! Start your journey into becoming a gelato pro. I’d choose Atlantic Lobster Eggs Benedict over raw oysters anytime. Those on photo look delicious. Tempting fate will probably bring on a drenched me. Not fun. That benedict was so tasty. Wow, gelato university and gelato festivals – sounds amazing! 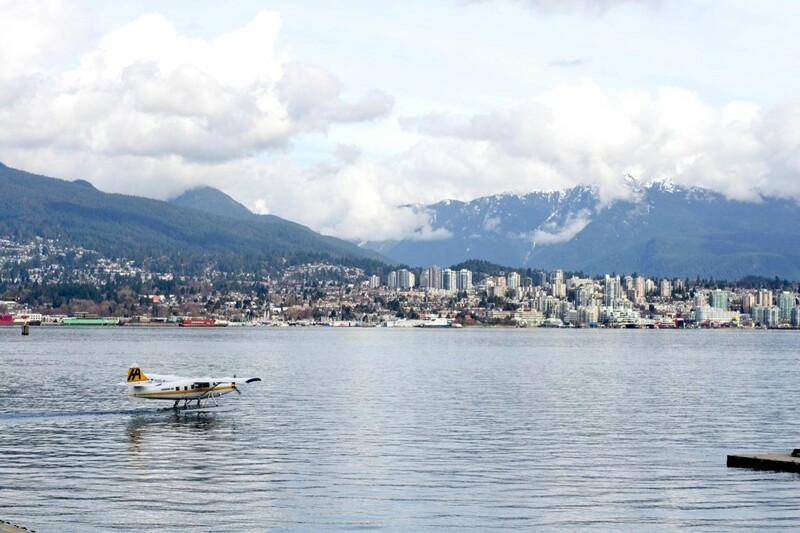 Looks like you have a lot more Spring-like weather in Vancouver than we do in Toronto – send some of it our way! It was just a one day thing. 🙁 It’s been mostly rainy and cloudy since with no end in sight! What’re are we all doing wrong with our life’s to not be studying at a Gelato university… man. I don’t have a degree maybe I should get one in ice cream haha 🙂 that lobster eggs benedict looks deeeeelish. and you lucky thing for not getting caught out in the rain! I would love to have a degree in gelato. I think they call them maestros which is a pretty cool title. Great post Adelina. That really does look like the perfect spring day. Glad you didn’t get caught out after you left your umbrella at home…that alone is a miracle! 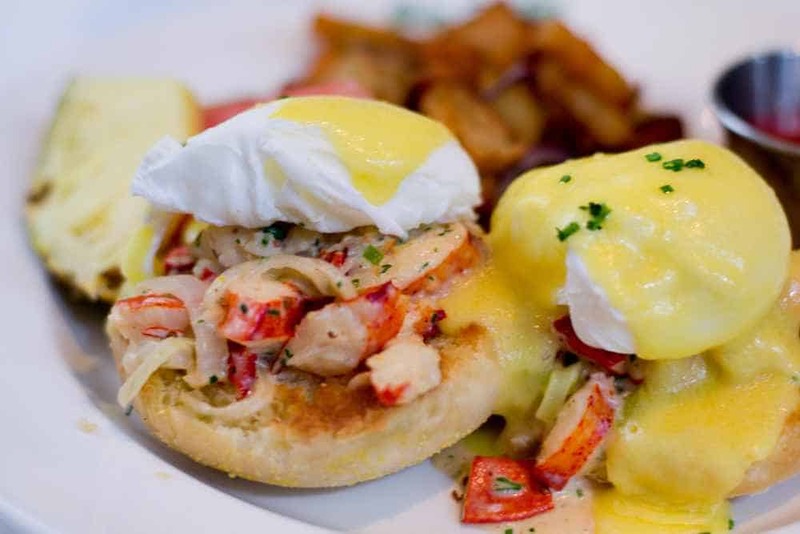 Those lobster eggs benedict look awesome – looks like I have something new to try next time I’m in town. Raw oysters really are pretty good too! Thanks for sharing! The lobster eggs benedict looks absolutely amazing! And you got some blue sky in Vancouver – lucky you. I have been hearing so many great things about this city, need to get myself there. It truly is beautiful – mountains, beaches, forests, lakes. It has it all. Oh my goodness that eggs benedict looks delicious. 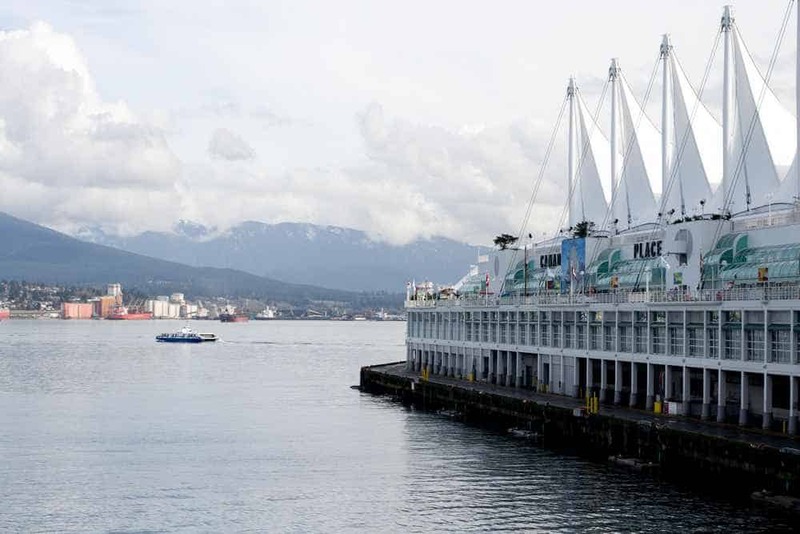 My young sister has told me how beautiful Vancouver is and I am hoping to visit the place soon. Hopefully you get a chance to visit soon! It’s such a gorgeous city. Yum, gelato! Looks like fabulous day! My son so much enjoyed our visit to Vancouver when he was 7 years old (half a life ago for him as he’s now 14) that he keeps asking me to take him back to Canada. With the promise of a Lobster Eggs Benedict and excellent gelato, his case is getting stronger. Look yummy! Spring in Vancouver, other than the rain, is a gorgeous time to visit. Vancouver is gorgeous, rain or not :). We used to live in Seattle and spend some time in Vancouver on our way to Whistler. Why, oh why, didn’t I know about Bella Gelateria?! I guess I’ll have to go back! A trip to Vancouver just for Bella Gelateria is totally worth it. They’re relatively new I think – the first I heard of it was in 2011. Yet another reason to go to Vancouver! Lobster with hollandaise… how had I not combined the two before?? Seafood and cream based sauces just sound like a bad idea to me, but this was too good. Vancouver is a must! “No one should be allowed to make potatoes that good.” Ha, I agree, that little brunch looks killer… and of course, Vancouver is Vancouver – gorgeous as ever. I adore potatoes. Knowing how tasty these are and how easily I can get them is bad news. Love Joe Fortes and Bella Gelateria! Wow – beautiful pictures of Vancouver. That’s a great guide! Btw just followed you on Facebook – great travel blog you have 🙂 Looking forward to connect! Thanks Heather! Joe Fortes is so delicious and a great indulgence. The next link up is live right now. You can check it out at the bottom of the post here.